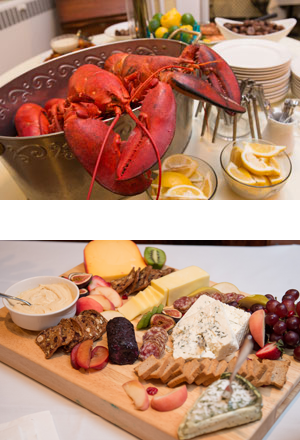 Whether you are looking for breakfasts, brunches, luncheons, dinners, cocktail receptions, buffets or a New England style clam bake, we are committed to planning your event, your way. Contact our team today with the event you are hosting and the menu styles you are looking for so we can get started on your customized proposal. We offer private events in a private mansion, consult our office for applicable room charges.